Have you tried playing this game with a ping over 150? It's not pleasant or easy to play that way at all. It doesn't turn you in to Superman either. Exactly. Occasionally if other people in the house are using multiple internet connections my ping will spike for a few seconds, up to 150-200 normally, and it's not a good experience. Ok, maybe it's harder to hit someone where they're bouncing around, but at the same time they can't really hit you because they're flying around on their screen as well. Also, can I just say that that's a pretty bad excuse to not buy? It's like £25 at the moment, and the issue you're talking about is like less than 1% of players. Yes, there are issues, but they do seem to be being ironed out (slowly), and at that price I would say if people are looking into buying the game then they should. Been playing with a ping of 11 and have no problem whatsoever on EU servers on PS4 anyway. Sure you occasionally get a high pinger (or a handful every now and then) but it rarely makes that much difference overall to the gameplay. If you are having that much trouble hitting enemies, I’d argue it’s probably got less to do with their ping than you are claiming. I honestly have zero problem with low ping. My shots mostly seem to land and I would guess that a wide margin of those that don't are operator error. If you can't beast in any BF game, are you really trying? Yep. Might be different in other regions, but on the European servers it's basically a non-issue - most people have a ping of less than 50, although some people (such as myself) do occasionally spike up. Speaking of that - does anyone know if a wired connection would help with that at all? I was considering it. My internet provider told me that, yes a wire ensures a more stable connection with less spikes. I play on Euro servers as I am based in Denmark, and I usually ping between 12-25, sometimes less, sometimes a little more, but often see players with pings over 100. @Dr_X2345 Yes, a wire ensures a more stable connection. Yeah. Occasionally get a few players north of 150, but it’s never like it’s a game breaking problem. I can’t remember the last time I saw someone with a massive ping topping the leaderboard etc. And I definitely got much less packet loss when went wired. May not affect your ping that much (but might a bit). As for spikes, it really depends what’s causing them, but it certainly shouldn’t make them any worse. This argument again? Some people are going to say playing with high ping is a horrible experience , and the high ping player won't do well. 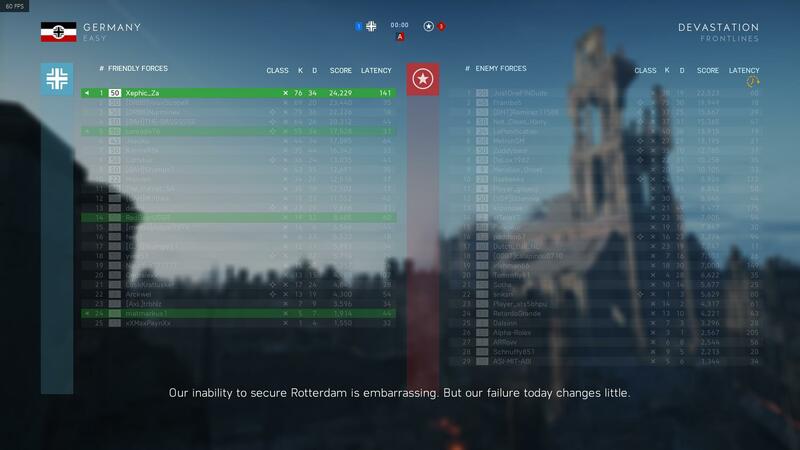 While I've watched scoreboards in bf1 and bfv it does seem like the majority of players at or above 150ms aren't doing well. But some do amazing. Seems like when someone has a very fluctuating ping they can be very hard to kill. I'm no expert, but in my experience when there are many high ping players in a server gameplay can suffer. Oddly it isn't all of the time. If high ping players don't cause issues why did pc players have servers with ping limits? And the dev mischkag (was that his name?) admitted as much in a bf1thread about hit detection. Lmao. Here we go again. Look it's def alot harder to play at 150 ping. I did it yesterday on EU with about 155 ping. I have to slightly lead my shots and the recoil feels mudded / out of wack. I have to pre prepare for engagements since I will lose the gun fight heads up. Will this stop me from being on top on my team no but it will make it harder. Remember even though it's harder there are still different skill levels to factor. Do high ping players cause issues with server stability sure if there is a abundance of them but I wouldn't call it remotely an advantage. I some times join my EU friends in their servers and one of them has a ping between 3 - 5 at times and is difficult to kill when I play against him. How is that even possible? The reason why you see people with high ping all over the scoreboard is that it’s ability more than ping that has a bigger determines influence on how well someone does. A medium-high ping can be both an advantage or a disadvantage depending on the situation. That said, I doubt many would do well with a ping above the cut off for client side hit detection, it’s a god awful experience for those players. It is true that too many high pingers, or players with lots of jitter it can cause problems with hit detection. The thing is, most people aren’t playing with a high ping for the fun of it, it’s mostly likely the only way they can play. Which is why this notion of ping caps or region locked servers is quite divisive. It doesn’t help that some regions have much less players in region, so some areas have a much more problematic experience. The reason to not buy (in addition to the endless bugs and crap netcode issues) is that this game gets really old and stale after a few days. Content is sorely lacking and frankly, the game is very forgettable... It feels like a hollowed out game w/ no real soul or anything interesting about it. The game feels like a free-mium game in its skinny content, UI, bugs, and lack of basic features. If you're thinking about buying it, wait for a big sale. I have played quite a bit on West US servers from UK. Playing with ping of 155-175 was like eating a cherry of the cake. It didnt turn me into superman, but I dominated lobby after lobby. I had to predict enemy movement and gunfights and because of that locals struggled to kill me. YOu would have died just the same by enemies with local ping though. It does not change exposure time, you are visible for the exact time in both conditions.It is just more frustrating because you possibly were in cover on your screen, however you were dead either way. If we were speaking about BF4 I would 100% agree with you cause its true. But in BFV i never died once going for cover while playing out region. I should have some spare time next weekend so I will record few videos of playing OOR and Local for comparison. If I had enough decent servers in my region I would play locally, but unfortunately there isn't, so I have to resort to playing overseas. Also, you get used to the ping in a FPS game, it has it's ups and downs. Then again, to Rek scrubs all day on EU. Thought I'd have a go playing out of region but it didn't quite go to plan as I'd say my 96 ping put me in the lowest 25% on the server. I truly wish I had your experience as when I play with a friend on US West servers (ping usually around 160 - 170 vs 80 - 90 on US East vs 17 on EU) the only thing that keeps me going is his chat. I struggle to hit anyone even with leading etc, bullets don't seem to register and I appear to insta-die. Now I wouldn't dominate regardless of this but I don't even feel competitive one these servers. Btw I'm not disbelieving your experience at all - I just never have a good one myself.